The Nightmare Before Christmas is a 1993 stop motion animated dark fantasy musical film directed by Henry Selick, and produced and conceived by Tim Burton. It tells the story of Jack Skellington, a resident from “Halloween Town” who stumbles through a portal to “Christmas Town” and decides to celebrate the holiday, with some dastardly and comical consequences. 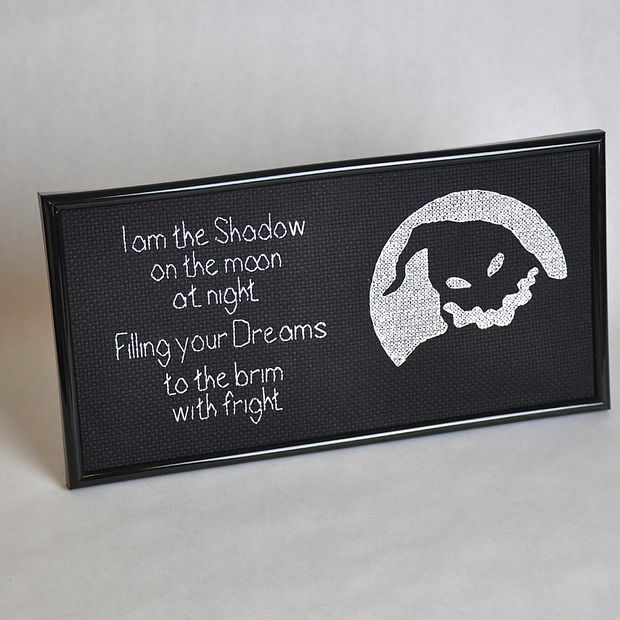 The Nightmare Before Christmas originated in a poem written by Tim Burton in 1982, while he was working as an animator at Walt Disney Feature Animation. 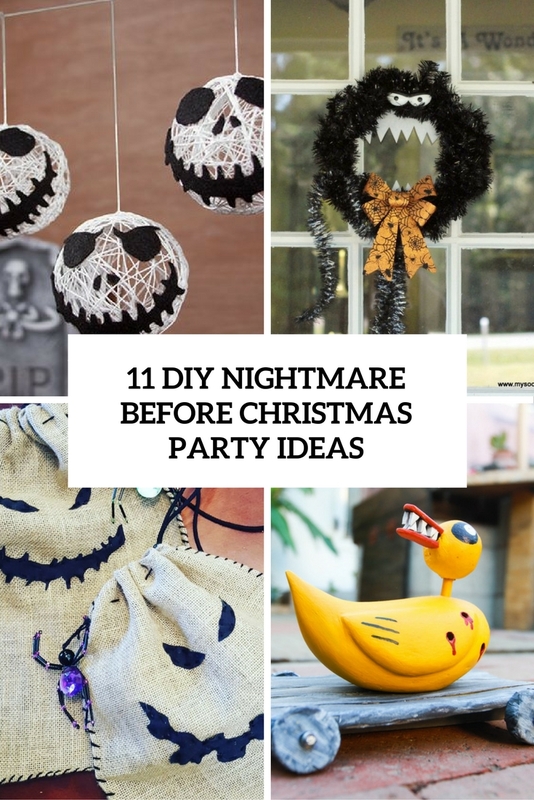 Nightmare before Christmas is a great Halloween party theme that is gaining more and more popularity because it’s not only about Halloween but also about Christmas, too, so it gives more festive spirit to your party. I’m sure that your guests will be delighted to get something new for this Halloween but first about decorating. 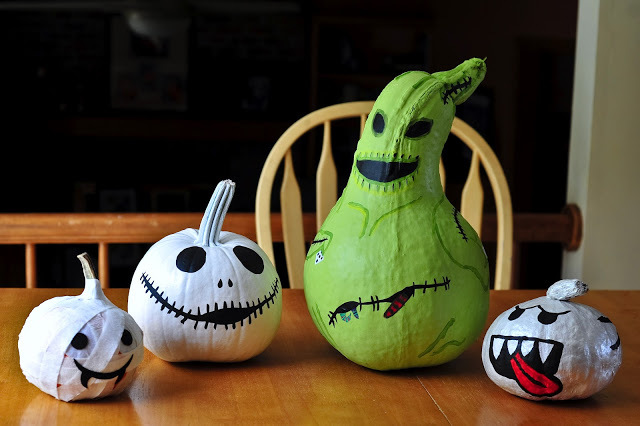 Mummy/Vampire, Jack, Ooogie Boogie, and Boo are characters of this animated musical, and they can be easily recreated using squashes and pumpkins. Take some paints and fabric strips to make them and read the whole tutorial in the source. 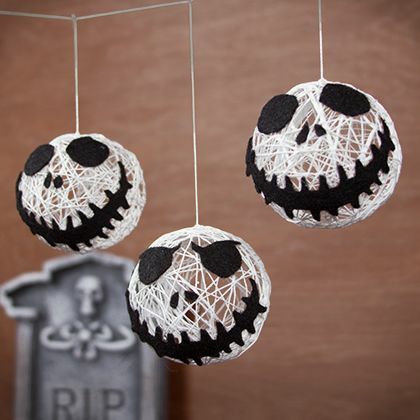 King of Halloween Town, Jack Skellington, can be recreated in these cool string garlands that are perfect for black and white party. All you need is some balloons, black felt, white yarn and instructions from the source. Looking a bit like a lime green potato sack and hailing from Halloween Town, Oogie Boogie has an insatiable appetite for bugs. 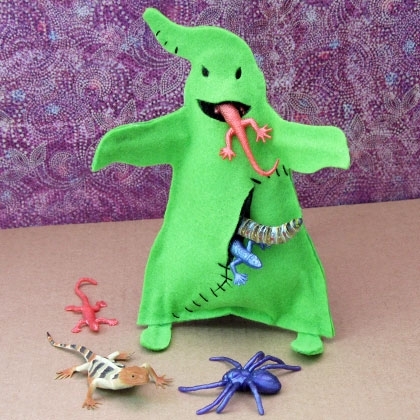 Made in his likeness, this bright green felt monster is great for storing your child’s toy insects, spiders, and the like. 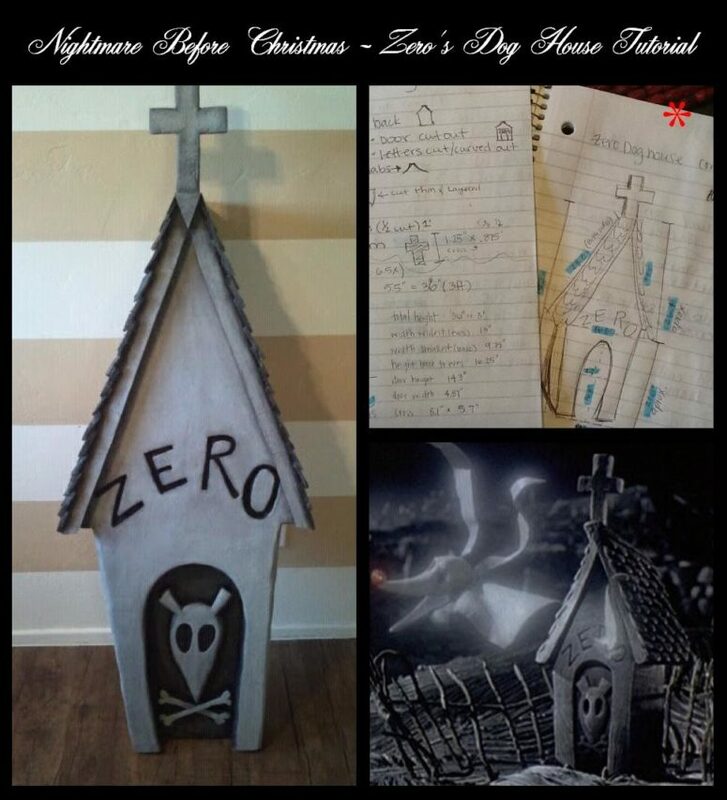 This is a tutorial on how to make Zero’s dog house from the movie Nightmare Before Christmas. In the movie, Zero is a ghost dog, so his home is, what else? A tomb stone in a grave yard! This is a tutorial on how to make the Nightmare Before Christmas Countdown Clock. 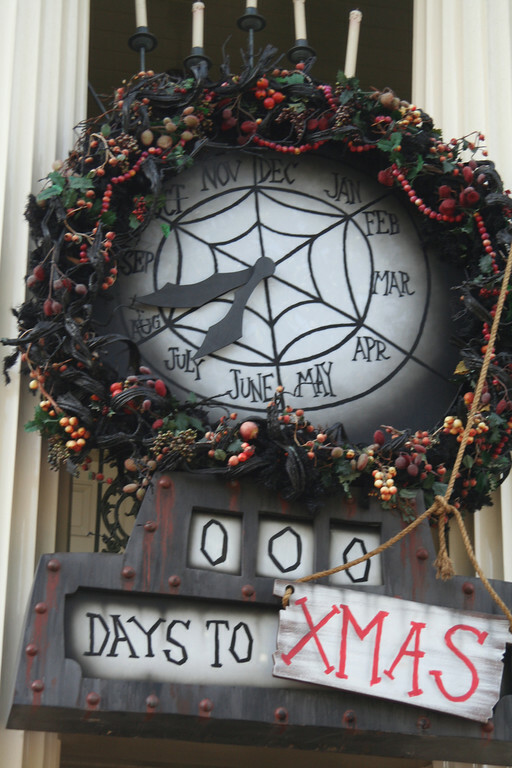 This clock appears in Halloween Town in the movie, but more famously it hangs over the main entrance to Disneyland’s Haunted Mansion Holiday. The Man-Eating Wreath was one of the terrifyingly bizarre Christmas presents that Jack Skellington left under his guise as “Sandy Claws”. 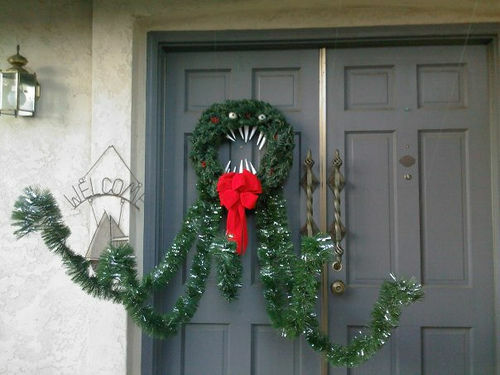 This wreath is based on both the film’s version as well as the realistic toothy version in Disneyland’s Haunted Mansion Holiday. 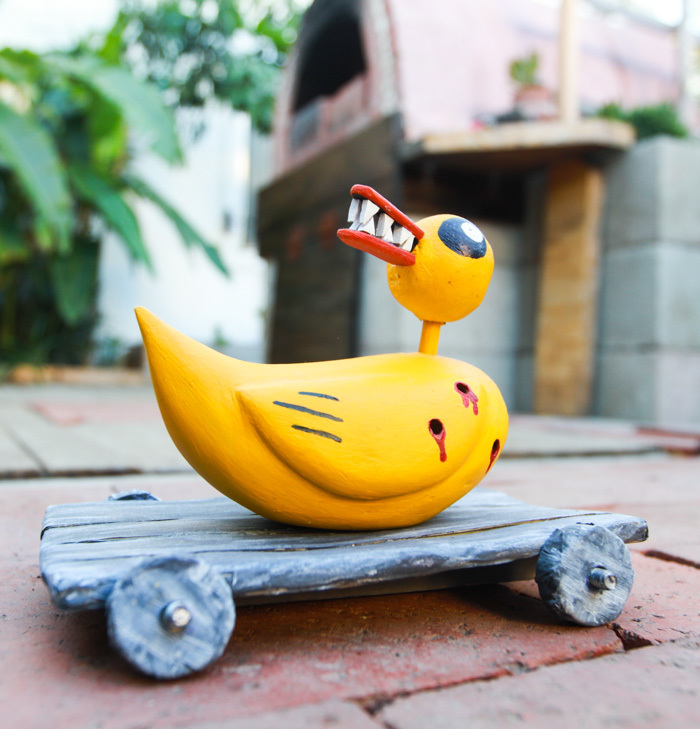 It’s time to create some of the Nightmare Before Christmas toys, starting with this awesome one: the scary toy duck! Find a still shot of the duck from the movie, and base your Nightmare Before Christmas craft project off of that. 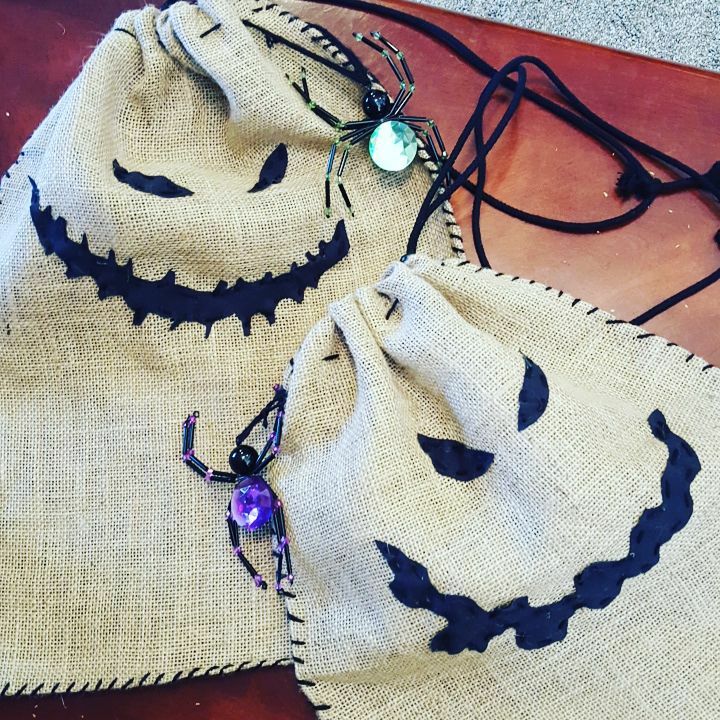 These simple burlap sacks for favors or candies remind of Oogie Boogie from The Nightmare Before Christmas. Read how to make them easily and fast in the source. 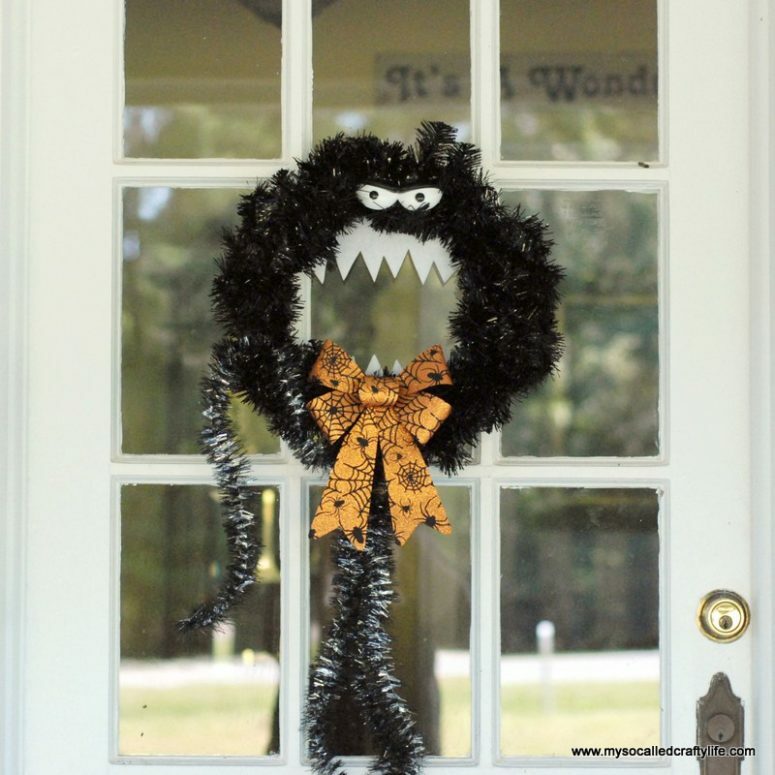 This is another Man-Eating Wreath, a fresh take on it in black and orange. The piece is made of black tinsel and orange Halloween-inspired ribbon, so cool and atmospheric! 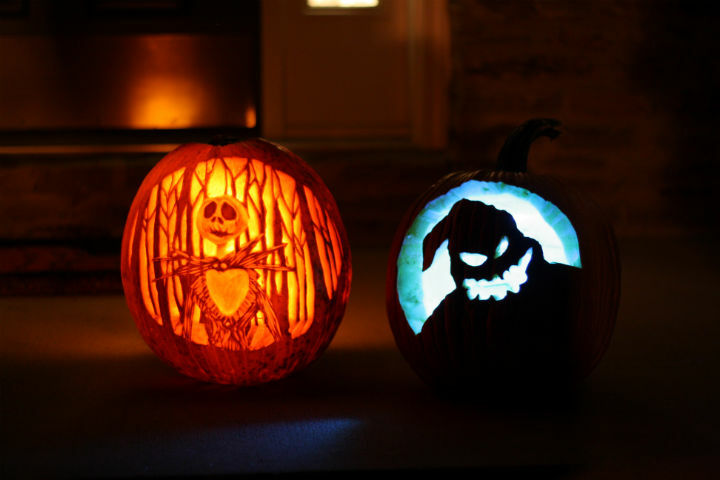 Need a couple of pumpkins inspired by Nightmare Before Christmas? Here are two ideas to cut out and paint some images from the animated film, find out the details to make them. Here’s a cool and easy cross-stitch project. The image of Oogie Boogie on the moon is taken right from the movie. The piece was stitched with white threads on black fabric.